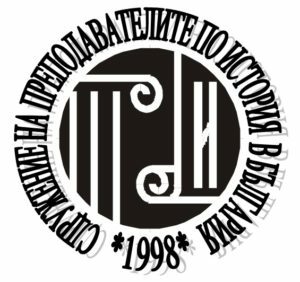 The EUROCLIO project in Bulgaria has its focus on school history and would like to develop an increased intercultural and also international dimension in the learning and teaching of history in this country. The target group is a wide network of historians and history educators which include history teachers, history teacher trainers, textbook authors, curriculum developers, inspectors, advisors and local authorities on the learning and teaching of history. The overall aim is to strengthen the international context of an inclusive Bulgarian history education in order to support the integration of Bulgaria into the European Union. 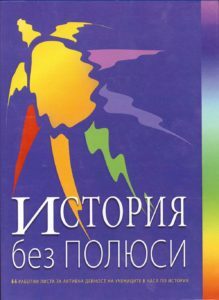 The project culminated in the publication of a course book with innovative material to strengthen the international context of an inclusive Bulgarian history education in order to support the integration of Bulgaria into the European Union. Rumyana Kusheva (President of BGHTA), Milena Platnikova (Project Manager of the Bulgarian History Teachers’ Assocation), Dr. Penka Kostadinova (Vice‐president of BGHTA), Dr. Penka Stoyanova (History teacher), Senior Assistant Violeta Stoicheva (teacher‐trainer), Assoc. Prof. Kostadin Paev (Associate professor in methodology of training history), Roumen Andreev (teacher), Sue Benet (teacher trainer), Dr. Yossane Vela (lecturer and teacher trainer), Tamara Eidelmann (Russian history teacher), Ineke Veldhuis‐Meester (teacher trainer in History), Assoc. Prof. Veselin Yanchev (Professor in History), Tamara Eidelman (Russian history teacher), Milena Platnikova (BGHTA), Bistra Stoimenova (teacher trainer), Nikola Tsvetkova (teacher trainer), Emilia Dimitrova (history teacher), Dafina Nikolova (history teacher), Dimcho Doikov (history/ICT teacher), Emilia Dimitrova (history teacher), Emila Katova (history teacher), Lyubomira Pankovska (history teacher), Milka Dimitrova (regional coordinator of BGHTA), Maria Benova (history teacher), Nikolai Chakurov (history teacher), Nikolinka Popyordanova (history teacher), Petya Georgieva (history teacher), Radostina Novakova (head of regional inspectorate of education), Todor Zarkov (history teacher), Toshko Hristov (history teacher), Valentina Yordanova (historian).